Bourbon and whiskey aficionados will cherish these personalized barrels. Concoct your blend with a master distiller, create a custom label and have it delivered to your doorstep. Venture down to where it all began in the heart of Kentucky (Versailles, to be exact) to blend your very own whiskey with Woodford Reserve’s in-house Master Distiller, Chris Morris. First, choose from Craft Bourbon in 180 one-liter-bottle format or the Double Oaked Personal Selection in 240 750ml-bottle format (the latter is the more personalized of the two) before booking your private tour of the distillery. Upon request, receive a personalized barrel and barrelhead. For the ultimate bragging rights, a plaque with your name will permanently hang on the walls of the distillery. up to the masters’ creativity. Do you prefer more full-bodied and robust, flavorful and balanced, or sweet forward? You’ll receive 240 bottles decorated with a personalized silver medallion, as well as a custom barrelhead, and, if you request, a barrel. A small but mighty collection, WhistlePig’s impressive roster of five expressions of whiskeys are aged in casks the company sourced from around the world in pursuit of a one-of-a-kind flavor. 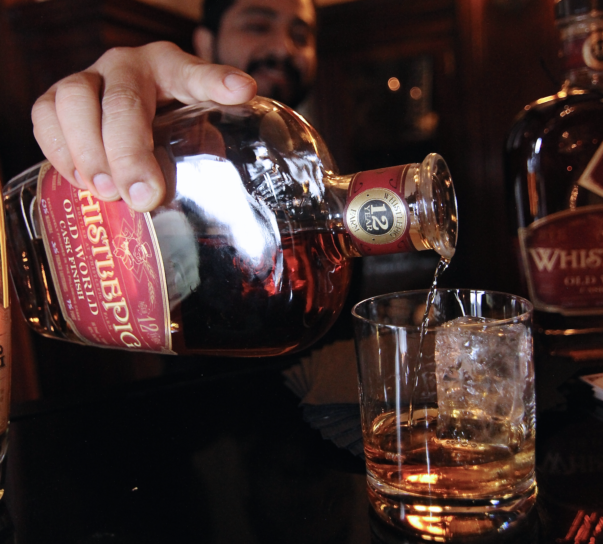 Some are aged even further using Vermont oak casks made directly from trees on WhistlePig’s farm in Shoreham, Vermont. Choose an oak barrel from a range of flavor profiles from the 10 Year Single Barrel Straight Rye Whiskey with notes of allspice, orange peel and hints of caramel and vanilla. Or, you could create a custom blend from the 12 Year Old World Finish Bespoke Blend that has been aged in American oak and finished in Port, Sauternes and Madeira casks to give it more character. Visit the distillery or have samples sent to you to complete the process.